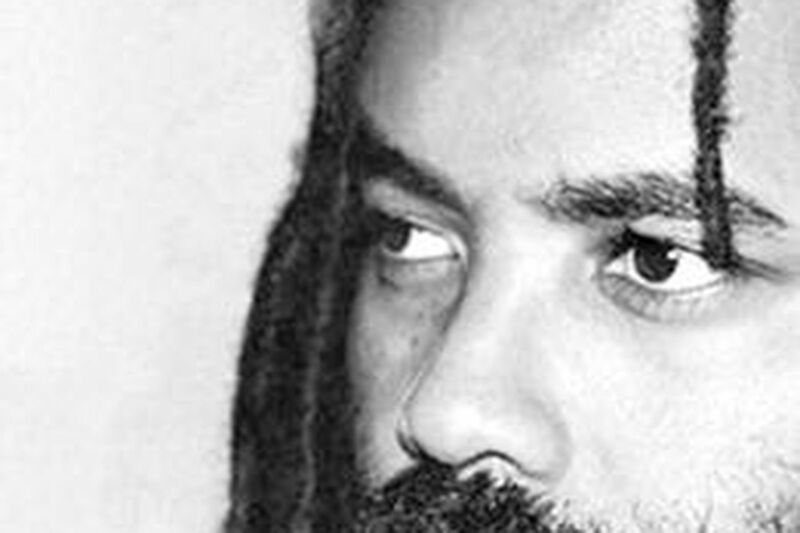 TWENTY-FIVE years after he murdered Danny Faulkner, Mumia Abu-Jamal is scheduled for yet another courtroom argument on May 17. Having exhausted his state appeals, Abu-Jamal is now at the appellate level of the federal court system, in front of the Philadelphia-based Third Circuit. The D.A. 's office just filed a very telling motion, one that indicates its desire not only to win what I hope is the final round of appeals in this case, but also to do so in a manner free of innuendo and political speculation, even when that means doing the work of the defense team. The motion, filed by Hugh J. Burns Jr., chief of the D.A. 's appeals unit, seeks the recusal of the entire Third Circuit, and asks that judges from other circuits be assigned to the case! Background: Abu-Jamal has argued that the D.A. 's office, at the time of his trial, was "a place where a prosecutor who was of a mind to discriminate . . . was free, even encouraged, to do so." According to Abu-Jamal, "At the time of this trial, prosecutorial discrimination in jury selection was widespread and common," and "Philadelphia was no exception to this widespread, common problem." The man convicted by a jury of his peers of killing a Philadelphia cop insists that at the time in question, "in Philadelphia courts . . . assistant district attorneys routinely sought to exclude blacks from criminal juries." Well, the D.A. at the time of his trial was none other than Edward G. Rendell - as in Pennsylvania's governor - and, more important for these purposes, the husband of the Honorable Marjorie O. Rendell, member of the Third Circuit. To the extent there was "routine" racial discrimination, it would have happened on the watch of then-D.A. Ed Rendell. The charge is ridiculous, of course. Abu-Jamal never raised such a claim during his jury selection, a process in which the prosecution freely accepted, and even sought, black jurors. Abu-Jamal's prosecutor was Joseph McGill, who on this issue said this to me: "Not only did I choose three African-American jurors and try to choose a fourth who was struck by Jamal, but the very first juror in the entire panel that I chose was African-American. If I were discriminating against black jurors, this sure was a stupid way of doing it." Nevertheless, any decision from the court that rejected the Abu-Jamal assertions - meaning a decision supporting the prosecution - might be perceived by outsiders as an effort by Judge Rendell's colleagues to be supportive of her, - and, in turn, her husband. The D.A. 's office does not want to win under those circumstances. Which is why the office has filed a motion seeking the recusal of not only Judge Rendell, but also the entire Third Circuit. NOT WHEN you think about it. What's really going on here is that the D.A. 's office doesn't want success if it comes under a cloud. The prosecutors have worked too hard for too long to leave themselves open to even an unfounded charge that the case is being decided on anything besides the facts and the law. Speaking of the law, it allows for this sort of remedy. In fact, a federal statute requires a judge's recusal where the judge has "personal knowledge of disputed evidentiary facts concerning the proceeding." And federal law also requires recusal where a judge or the judge's spouse "is known by the judge to have an interest that could be substantially affected by the outcome of the proceeding." The purpose of the statute "is to promote confidence in the judiciary by avoiding even the appearance of impropriety whenever possible." Who can blame the D.A. 's office? For more than 2 1/2 decades, these tireless, mostly faceless and nameless advocates for justice on behalf of a slain police officer have had to react to an assault of fallacies, including accusations that they manipulated ballistics evidence, reports of racial animus, mystery eyewitnesses and tales of witness coercion. Listen to Michael Smerconish weekD.A.ys 5:30-9 a.m. on the Big Talker, 1210/AM. Read him SunD.A.ys in the Inquirer. Contact him via the Web at www.mastalk.com.